They’re referred to as the “Duopoly” of online advertising. Facebook and Google account for 75% of the US digital ad spend and almost all of its growth according to Interactive Advertising Bureau (IAB). Facebook reported 45% growth in the last quarter and Google’s parent company, Alphabet posted earnings of $26 billion, 87% coming from advertising revenue. But are these behemoths about to blindsided by a fierce competitor with a better ROI? We recently completed a consumer research study for a beverage manufacturer that uncovered an interesting trend, one that might tip the scale for advertisers. Consumers, who had an Amazon Prime account, started their search for a purchase at Amazon 100% of the time. If they knew what they wanted to buy, they went directly to Amazon to search for different brands with the best price and delivery options. 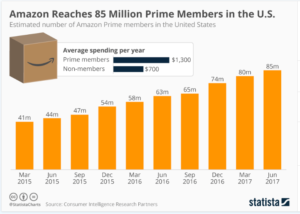 With 85 million Amazon Prime members as of June 2017, it’s not going to take long for consumer brands to discover that if you want to invest ad dollars towards finding buyers with high purchase intent and conversion rates, Amazon is going to be hard to ignore. Although small in comparison to Google and Facebook, only 1% of global ads, it is one of Amazon’s fastest growing businesses, now on track to generate close to $2 billion this year. Amazon also offers organizations a broad spectrum of advertising products ranging from their ad platform, offering mobile and desktop display and banner ads, to dynamic and coupon ads. Customer campaign pages allow advertisers to create immersive cross platform landing pages which can display more than one product. With the digital ad market predicted to grow at 16% this year to $83 billion the “Duopoly” will get their fair share, and almost all of the attention, especially considering the growth of Facebook’s Snapchat ad revenue, up 158% in the past year. And that may be just how Amazon likes it. Having a history of sneaking up on competitors…just ask Microsoft and IBM about Amazon Web Services (AWS). Andy Jassy, the AWS CEO said that in some ways the growth of his business was a classic case of disruption dynamics. 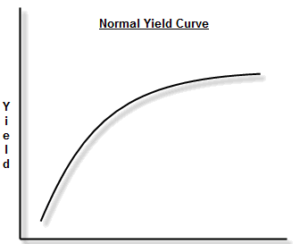 “The competition simply didn’t believe there was enough of a market to worry about it. The dominant players don’t have any reason to worry about someone attacking the bottom of the market.” AWS now owns a third of the Cloud Infrastructure Services market, more than three times that of its next closest competitors. Amazon seems to follow Al Pacino’s “never let them see you coming” advice from the Devil’s Advocate but one executive, Martin Sorrell, WPP CEO’s has noticed. Sorrell in a recent interview with Bloomberg said, “The company that would worry me if I was a client – or I think worries our clients, more than Google and Facebook – is Amazon.” Smart ad dollars follow consumer behavior and from we just learned, those consumers, are headed to Amazon.